Nurses went free and Coppers went mad! First and foremost, we need to talk about last night. It was earlier on in the week, and it had been brought to Jack’s attention that Friday would be International Nurses Day. 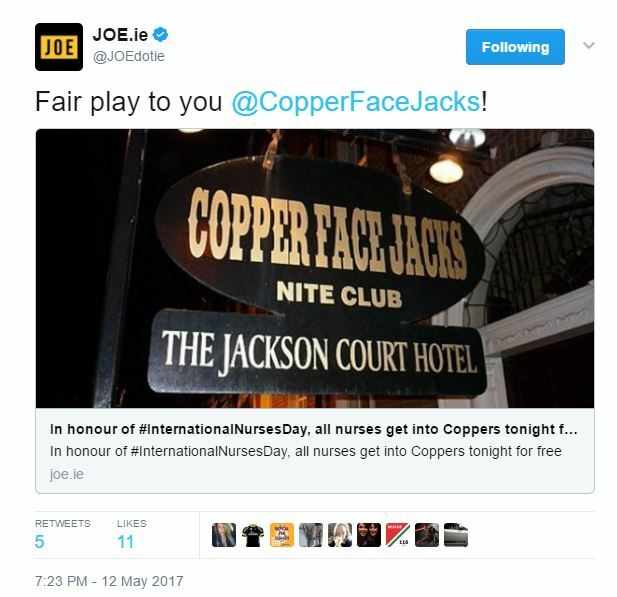 I’m sure all you Coppers regulars will know that we’ve had a strong affiliation with nurses ever since our doors opened back in 1995. So, Jack decided it was only fair to give something back. ‘Nurses Go Free’ was the tagline and boy did the word spread like the Peanut Butter Jack put on his toast this morning. CFJ’s social media was hopping all day with the news that nurses would be allowed free entry all night, with the help of some form of I.D to prove it. One girl did ask if sore feet and bags under eyes counted as a valid form of I.D. Her comment kind of summed up what the whole idea was about. The nurses of this country are some of the best in the world and they work tirelessly around the clock to care for others. What Jack thought to be a small, but nonetheless kind act, seemed to make so many people happy (The lads weren’t complaining either 😉 ). 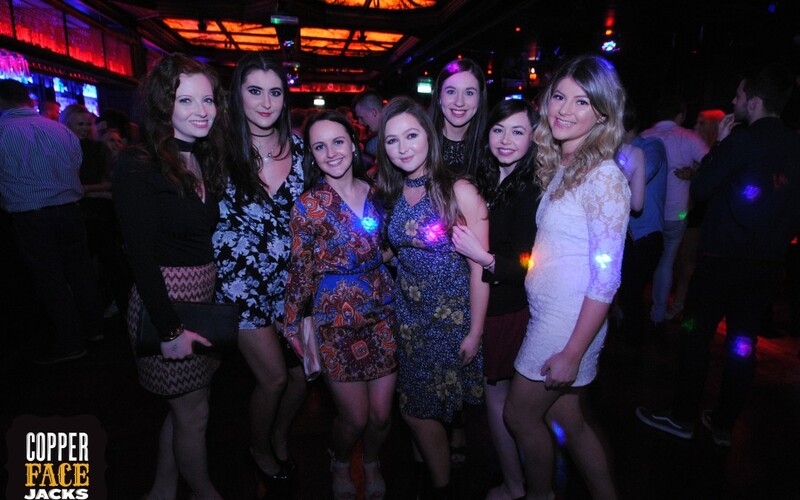 Nurses came out in their hundred’s for a well deserved night out, and it genuinely was one of the best night’s of the year so far! Nurses know how to let their hair down it would seem! Friday madness aside, Jack The Lad has even more exciting news for you. It is a very good time to be a Coppers fan. There are some huge plans in the pipeline for Copper Face Jacks. It is a little too early to reveal all, but Jack can assure you that the next few weeks will be exciting. A bit like, Winter is in Game of Thrones, big things are coming. Starting as soon as tomorrow. WATCH THIS SPACE.